You’re smart when it comes to fraud. You understand fraud prevention is important and have implemented measures to prevent mobile fraud within your company. Good! Going forward, how do you measure if what you’re doing to prevent fraud is working? It’s important to take the time to examine your fraud prevention strategy. Data can help you decide whether your current fraud strategy is sufficient or needs updating. Fighting fraud involves keeping up with emerging technology like behavioral biometrics. Fraudsters aren’t waiting for businesses to catch up, so it’s important to not only implement new techniques, but continue to monitor whether these techniques work as the fraud landscape evolves. Another reason to gather data? Marketing! If you’re confident in your fraud-fighting power, use data to show your customers what you’re doing works. In the mobile world, many customers are wary of switching to mobile payments because they aren’t convinced businesses are doing everything possible to prevent fraud. In 2014, 59% of mobile users chose not to use mobile payments because of security concerns. Dispel this idea with transparency about how your business prevents fraud. Customer trust is imperative in any industry, but especially so in the evolving mobile landscape. By committing to a culture of fraud prevention, businesses build customer trust. This helps draw customers to your business and can help reduce the 23% cart abandonment rate for mobile transactions. There are many existing fraud prevention methods that frustrate customers enough for them to abandon products in their shopping cart. It’s entirely possible a customer is interested in purchasing from a mobile device, and may get as far as adding items to the shopping cart, only to duck out at the last minute because of security fears. Looking at the data can inform how well new strategies work. If you implement a new fraud prevention method and metrics significantly improve, you can know that method works. This allows you to sift out the impact of different methods. There are several metrics businesses should look at when monitoring their fraud prevention strategies. To understand your fraud prevention strategy, it’s important to take into account several measures. Having a successful strategy means balancing effectiveness with user experience. Although many mobile users worry about security, they also want a seamless mobile experience. Having an effective fraud prevention method with high user friction will only discourage customers. That’s why it’s important to incorporate metrics that measure both fraud and friction. The first important metric to examine is pretty obvious. With your current fraud preventions strategy, how many attacks are prevented? 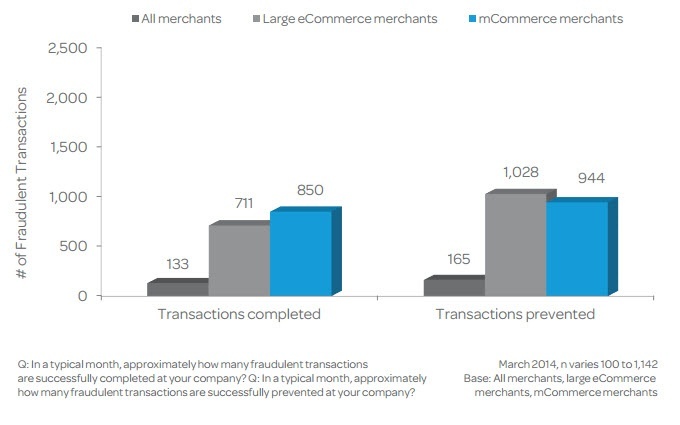 This metric is displayed in a 2014 LexisNexis report “Merchants Struggle to Contain Rising Mobile Fraud Costs.” It shows how many fraudulent transactions are prevented in different segments. Fraudulent transactions prevented is useful when displayed as a ratio of prevented transactions/total transactions and prevented attacks/total attacks. This way you can measure how prevalent fraud is in your business and how good your current strategy is at preventing fraudulent transactions. Businesses should also confirm these transactions are fraudulent, and not include prevented transactions that turned out not to be fraudulent, as this can give an unclear picture. Overall, the number of fraudulent transactions prevented should increase. 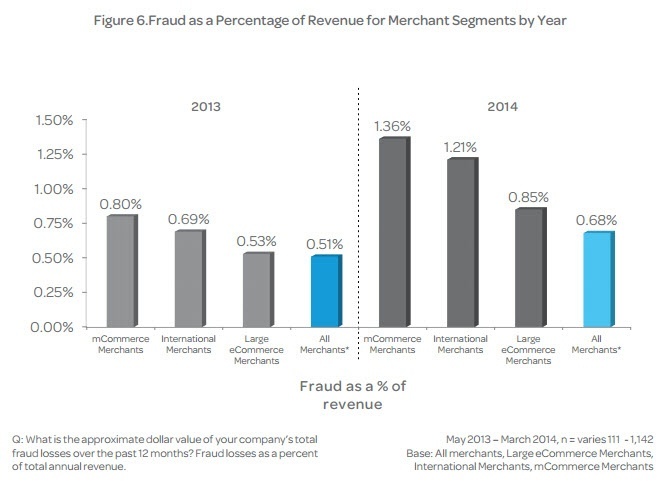 If the number of fraudulent transactions decreases, it’s time to re-think your strategy. It’s also important to monitor how much fraud is costing your business. This can be measured as how much money is lost to fraud as a total or compared to the cost of transactions. In addition to repaying fraud losses, there is also lost revenue from possible future transactions. A successful fraud prevention strategy will reduce the amount of money lost to fraud. 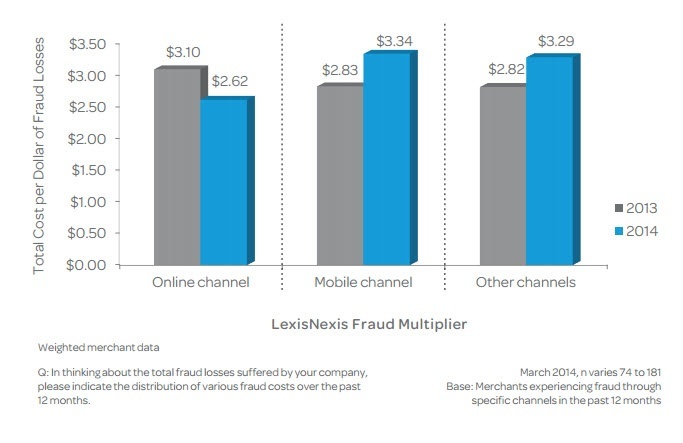 As the LexisNexis study shows, mobile fraud costs more per dollar of fraud losses than the online channel. This value can also be measured as the percentage of revenue lost to fraud when compared to total revenue. Another important metric, beyond how much money is lost and how many fraud attacks are prevented, is false positives. False positives can lead to lost revenue, as many customers who are wrongly denied will never return to a business. One way to measure false positives is to look at how many customer orders are approved. This metric can give insight into the number of false positives. Ideally, you want all non-fraudulent transactions to be approved. If you are seeing the number of approvals decrease, it either means more fraud is being prevented or normal transactions are not being approved. If the number of fraudulent transactions is not increasing, it’s likely an issue of false positives. The number of false positives should be monitored, as this corresponds to transactions lost due to false positives. The bottom line for analyzing a fraud prevention strategy is to make sure your business is getting a high return on investment (ROI). You should not be spending more on fraud prevention than you are gaining by implementing the prevention strategy. If your ROI is low, it may be that it does not work to prevent fraud, or that you are losing revenue due to high false positives. It could also mean you are paying too much for ineffective prevention strategies. 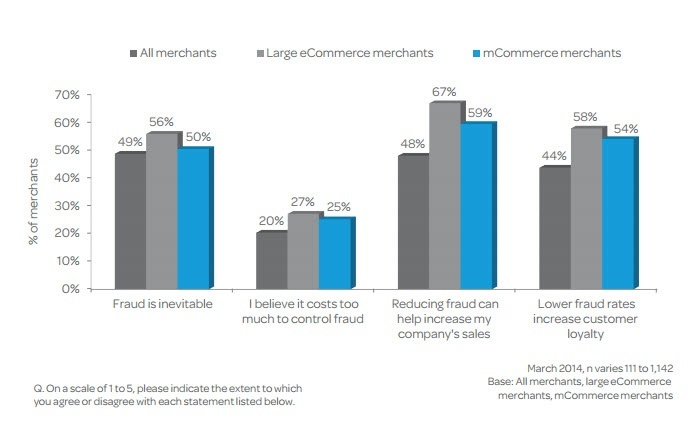 In fact, many mobile merchants (25%) believe controlling fraud is too expensive. On the other hand, more believe reducing fraud is important for increasing sales and customer loyalty. As we saw in this article, there are several metrics that can be used to measure a fraud prevention strategy. Preventing fraud is not only about lessening the number of attacks, it’s also about maintaining user experience. It’s also important to track mobile separate from online to optimize methods for each channel. Certain strategies may succeed in the online channel, but fail to prevent fraud via mobile devices. If you’re finding your fraud prevention budget is skyrocketing with little return, it may be time to look into new strategies. One strategy that reduces the number of false positives, effectively prevents fraud, and is available at a relatively low cost is behavioral biometrics. Check out our posts on this topic to learn more!